Kolkata/Bengaluru: Are you one of those who has dreamt of owning a farm plot and harvesting your own crops, after being introduced to online games like HayDay and Farmville? Or are you one of those who keeps thinking of pesticides or colouring agents used in your veggies or fruit? Then hang on! 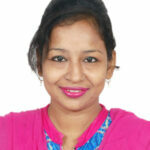 For Kolkata’s techie, Shameek Chakravarty is all set to give wings to your dream. Thanks to Shameek and Farmizen, you can do farming of your own. This alumna of Calcutta Boys’ School, who is stationed in Bengaluru these days, is busy networking with farmers across India to collaborate and make this dream a reality. Shameek, a software engineer by education and an entrepreneur by passion, has only one dream – “Revolutionize the way India grows its veggies and to empower both the consumers and producers”. Mini-farms of the size of 600 square feet is let out to the urban farmers, who want to grow their own organic produce. These mini farms are further divided into 12 beds, where seeds of crops you want to grow are sown by the farmers. “Those renting these mini farms are free to visit their farms, help in planting seeds in nurseries or even participate in preparing humus for their farms. However, we understand that the urban working class has little time to attend their farms on a daily basis. So, they have the option of paying weekly visits while we along with the real farmers take care of the crops through the week,” he says. 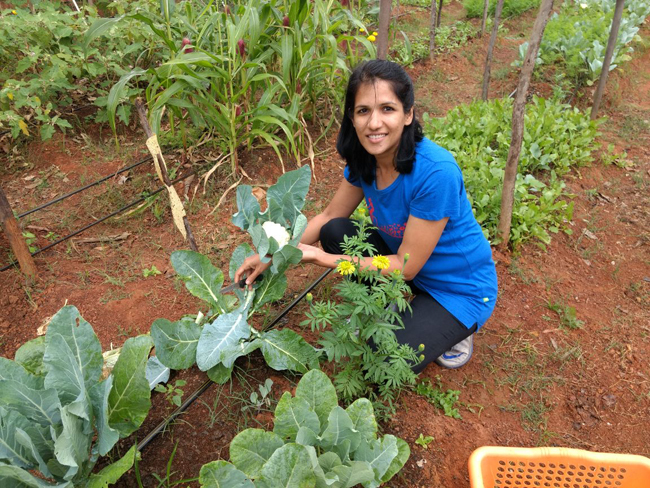 “It’s a great joy to see to grow your own veggies naturally along with other like-minded people,” says Saee Bapat, a Bengaluru-based yoga trainer. Saee maintains that Farmizen has made her realize her dream of becoming a city-base part-time farmer. What about his hometown Kolkata? “Well, my city does feature in the top ten city list. We do have plans to come here but to be honest the city is difficult to penetrate. And it still has access to better produces in comparison to other metro cities. If you want, you can find suppliers of really good organic produce on Kolkata, even now. And I have mentioned earlier, we will be taking Farmizen to all metro cities by the end of this year, so yes, we do have plans for Kolkata,” elaborated the Maniktalla boy.